As you can probably tell from the screenshots, Star Titans was inspired by the Star Control games. 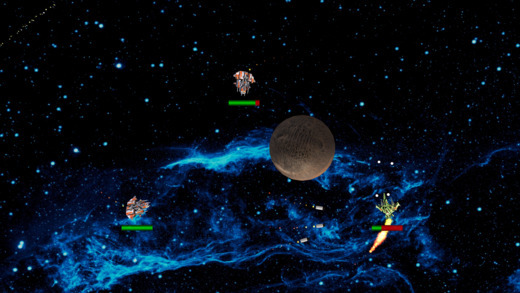 Star Titans is a melee game with eight unique ships, each with its own distinct weapon and special ability. I'm posting it here because (1) I figure some of you might be interested in a mobile spaceship melee game and (2) you are probably a great source for feedback. I plan to add four more ships soon, so please post any ideas you have for the future ships. You can get it now for iPhone and iPad. Thanks for checking it out.